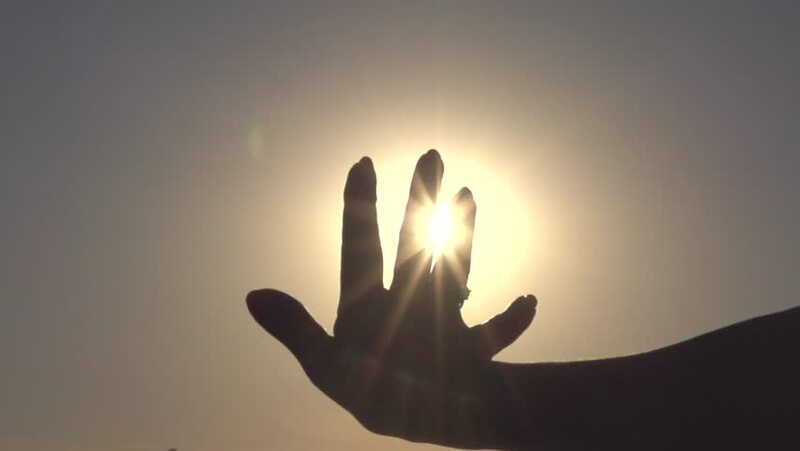 Woman's hand with a ring opposite the the sun. High speed camera shot. Full HD 1080p. hd00:18Camera zoom in to bright white sun on clear sky day. hd00:25Sun shines bright with few clouds slowly passing in hazy, evening sky.